Paramount Pictures has had a pretty rough year in terms of box office performance. One of the most disappointing of the many bombs the studio has endured in 2016 was Teenage Mutant Ninja Turtles: Out of the Shadows. The movie came up way short even when looking at the most modest expectations. So sadly for TMNT fans, the studio doesn't seem like they will be moving ahead with Teenage Mutant Ninja Turtles 3. Producer Andrew Form ,who worked on both of the new Teenage Mutant Ninja Turtles movies, recently did an interview with Collider. During the interview, he revealed that he is pretty sure the studio probably won't be risking further failure with this current iteration of the Ninja Turtles with a third installment. Here is what he had to say. I don't think there's Turtles 3, but I wouldn't say there's never going to be another Turtles movie." 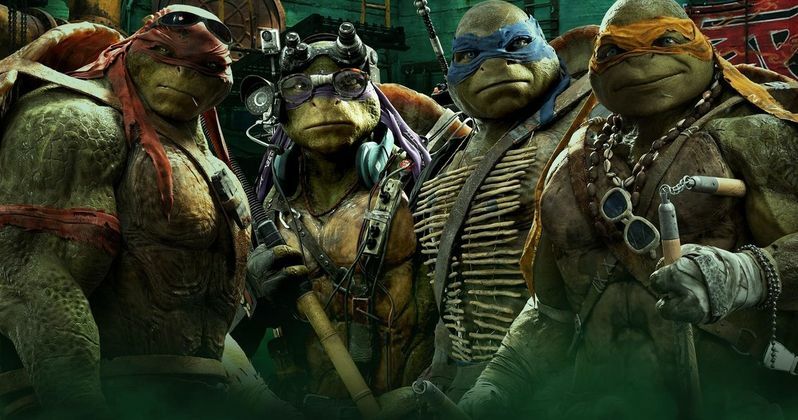 One of Paramount's biggest releases for the summer was Teenage Mutant Ninja Turtles: Out of the Shadows, which proved to be a hugely under-performing sequel. With a massive budget of $135 million, the movie only pulling in $239 million worldwide, making for a very poor outing. That marks a significant decline when compared to 2014's Teenage Mutant Ninja Turtles, which pulled in $493 million worldwide. Given that the sequel made less than half of what the first movie managed to make, it is perfectly understandable that Paramount would probably not want to move ahead with Teenage Mutant Ninja Turtles 3. Andrew Form talked quite a bit about the experience making the movie and said that he and the studio felt they made a great movie with Teenage Mutant Ninja Turtles: Out of the Shadows, so the failure at the box office was surprising to them as well. It is also important to note that he said that another Turtles movie is still possible, it just won't be a sequel to this current run of movies. If Paramount does move ahead with a reboot of TMNT at some point, Andrew Form also talked about some lessons they learned from the movie's failure. Related: New Teenage Mutant Ninja Turtles Movie to Shoot Before the End of 2019? "I think one thing we did learn is you really need to give-you can't just add characters to a movie and expect that to be what's fresh. It's a sequel. You have to give the audience something that's really new and fresh. Maybe just adding characters from the canon, that wasn't enough." Paramount really would have liked for the movie to do better than it did, because they are in need of another reliable franchise outside of Transformers. This year, they also had several major flops with movies like Ben-Hur and even Star Trek Beyond. Granted, Star Trek Beyond did wind up making $340 million worldwide, but with a $185 million budget, that simply wasn't enough. For those who did like this current version of Teenage Mutant Ninja Turtles, Out of the Shadows is out on Blu-ray now.